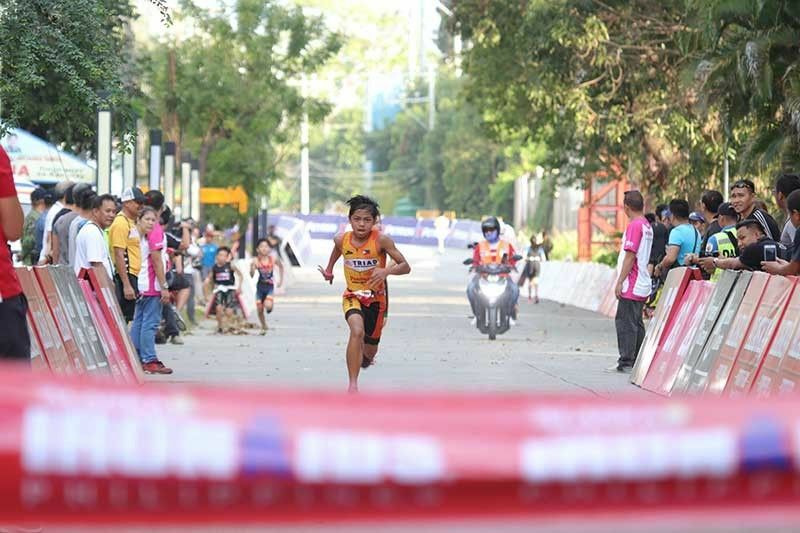 BATANG Pinoy 2019 Mindanao Qualifying Leg swimming champion Juan Alessandro Suarez of Davao City led this year’s winners of the Alaska Fortified IronKids Davao Swim/Run held in an out-and-back course from Azuela Cove in Lanang, Davao City Saturday, March 23. Suarez of the Triathlon Association of Davao (Triad) outsprinted swimming leader Matthew Cagape in the running stage to clinch the male 11-12 title. Cagape was ahead in swimming (4:21) over Suarez (4:24) but the latter broke away in the run (8:39) as the former slowed down (8:48). 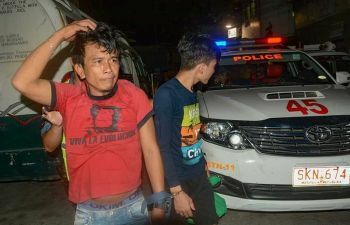 Suarez clocked a total of 13 minutes and 42 seconds while Cagape finished second with a time of 13:48 in the 200-meter swim and 1.5K run division. Chuck Amparo (13:53) placed third. Francesca Behn Caballero, for her part, topped the female 11-12 category having registered 15:31 while Aira Danara (16:06) and Raiannelle Bacus (17:40) came second and third, respectively. Earol Belonguil (15:29), 13, of Cebu Normal University bested Matthew Justine Hermosa (15:30) and Zedrick James Borja (15:44) for the male 13-14 crown (400-meter swim and 3K run) while Marielle Estreba (17:20) raced past Jeanna Mariel Canete (17:24) and Arianna Danielle Lim (18:12) for the female 13-14 title. Alaska associate brand manager Diane Guerta said Belonguil is “quite new” to the sport, thus, she hope he will also compete in the other legs of IronKids. Meanwhile, Bruce Ice Bragat (12:00) prevailed over Asher Chamyuel Baluyut (12:07) and Youone Kriven Ramos (12:37) to annex the male nine-10 (200m swim-1.5K run) champion’s plaque as Eleora Caelle Avanzado (11:07) outclassed Danielle Syvia Tan (11:26) and Chantal Calolot (11:53) in the distaff side. The other champions were Kenshie Luke Cabando (male six to eight), Christy Ann Perez (female six to eight), Team Aidan and Chantal (male mixed relay six to 10), Team Baby Che and Jacob (female mixed relay six to 10), Team Gelo and Peror (male mixed relay 10:11) and Team Aliyah and Angel (female mixed relay 11-14). The top three placers in each category received plaques and gift packs while all finishers received medals.